Microsoft let slip a little more information about its plans for those affordable Windows 10 virtual reality headsets set to roll out in 2017 with the Creators Update. The Windows Insider Preview build 14971, which rolled out last week, included a new app called Windows Holographic First Run. Similar to Valve’s performance-check utility, the app checks to see if your PC is capable enough to handle Windows 10 VR. Microsoft said the Windows Holographic First Run app wouldn’t be able to detect any hardware, but The Verge ran some tests and this doesn’t appear to be the case. Regardless, the side effect of including this VR system check is that it gives us a peek at the basic requirements for Windows 10 VR. They include a quad-core processor (or a dual-core with hyperthreading), 4GB of RAM, USB 3.0, and DirectX 12 support. There is also a free disk space requirement, but it’s not clear what that is. This virtual machine doesn’t have what it takes to run Windows 10 VR. 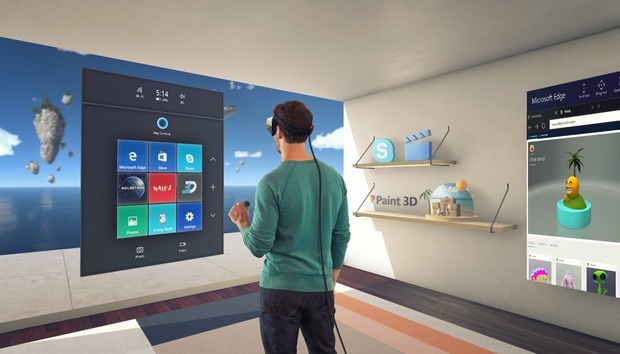 As the company said during its introduction of the Creators Update in October, Windows 10 VR will be accessible to most modern PCs. The biggest stumbling block (if you can call it that) will be DirectX 12 support. Most laptops and desktops running a discrete graphics card should be fine, but integrated processors require an Intel Haswell processor or newer. That means anyone still running a Sandy Bridge machine will need to pick up a graphics card for Windows 10 VR to work—an eGPU should be just fine, too. The AMD side is a lot more varied, but basically requires at least a 6000-series APU to support DirectX 12. The story behind the story: With such basic specs, it’ll be interesting to see what kind of software these devices will be able to run. Microsoft will probably include its Holotour application that lets you check out tourist hotspots around the world. However, don’t expect to be running any serious PC games since the golden benchmark of 90 frames per second likely won’t be achievable on the entry-level hardware requirements for a Windows 10 VR headset. Nevertheless, budget-priced Windows 10 VR headsets have the ability to bring virtual reality into the mainstream in a way that the high-priced, high-powered Oculus Rift and HTC Vive simply can’t.